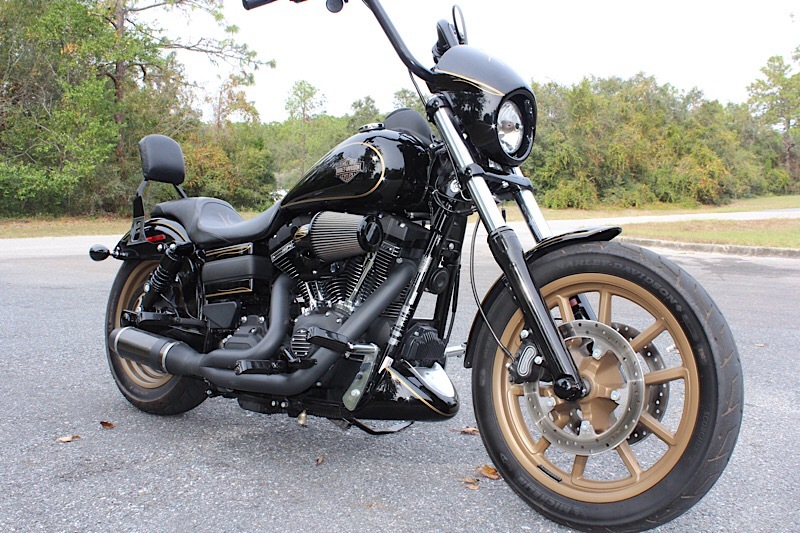 2016 Harley Davidson Dyna Low Rider S in excellent condition with a 117ci big bore kit from Harley Davidson. Bike only has 4800 miles and is ready to ride! Aftermarket handlebars, gold pinstriping, custom seat also have a solo seat for the bike, after market exhaust. Originally was a 110ci Harley Davidson upgraded it to 117ci big bore kit. 6 speed with abs brakes. Bike should make around 125hp and 125tq. Only 249 dollar dealer fee! Family owned business been in business since 1990. Check out our Facebook page Iron Horse Performance. Call 352 746 7655. If you live out of state we can arrange shipping for you.